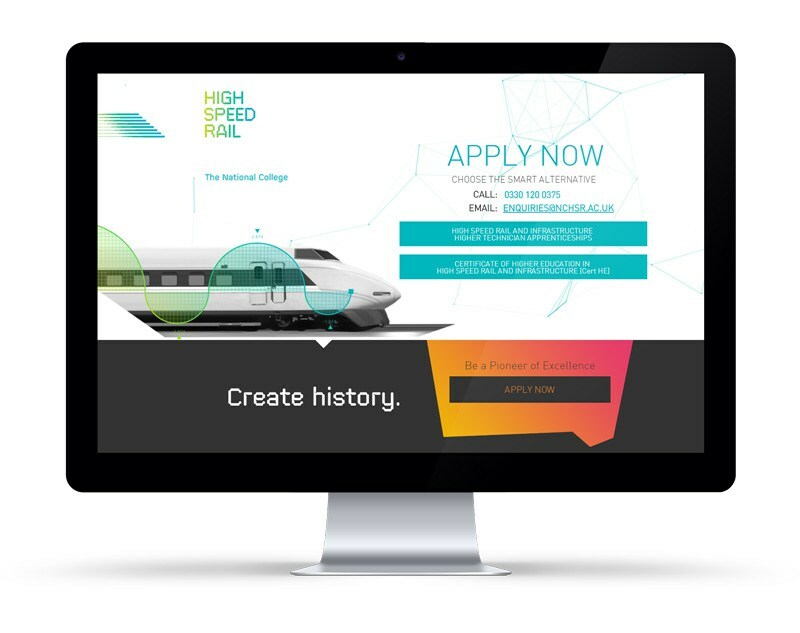 How do you establish an online presence for the first high speed rail college as a leading facility within the industry whilst effectively engaging with all of its key stakeholders? 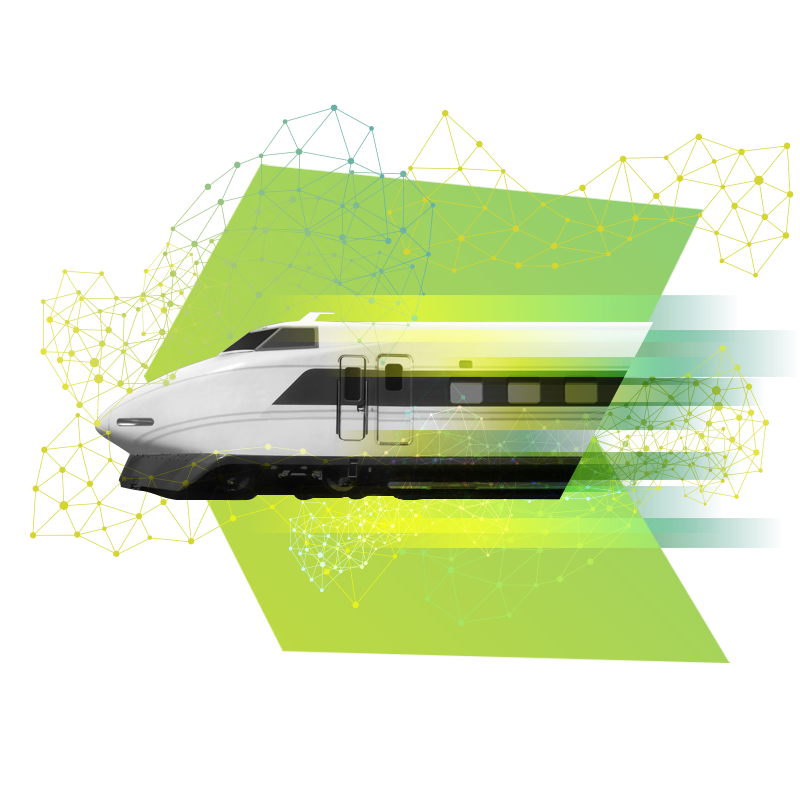 Opening in September 2017, The National College for High Speed Rail was set up to offer industry-focused higher technical skills development that enables a new workforce to deliver large infrastructure projects such as HS2. 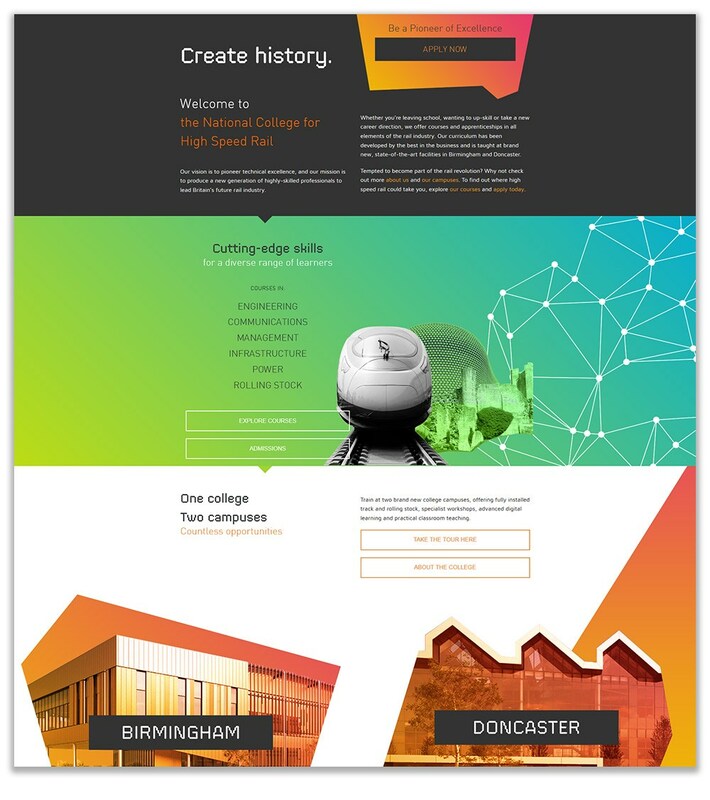 With two state-of-the-art campuses in Birmingham and Doncaster, the college needed a website that showcased the cutting-edge technology used for teaching; inspire the next generation of rail industry workers and ultimately, a tool for online applications and investors. Presented with a blank canvas and just a logo, fonts and a colour palette, we started the project by designing and developing graphical elements to showcase the college’s story. Together with the bold colour palette, we created online graphics that utilised cut outs of futuristic, cutting-edge technology as well as polygons and sharp lines to reflect the fast-paced movement of the sector. Infographics were also used to communicate hard facts as a tool of persuasion for investors, who are looking at Apprentices or are considering working directly with the college by investing in training and resources. It was also essential in helping to encourage those to take the leap in starting a career in a relatively new industry. We worked directly with the client throughout the project through the development of wireframes, to design and build of the site to make sure that all stakeholders and users were serviced throughout. 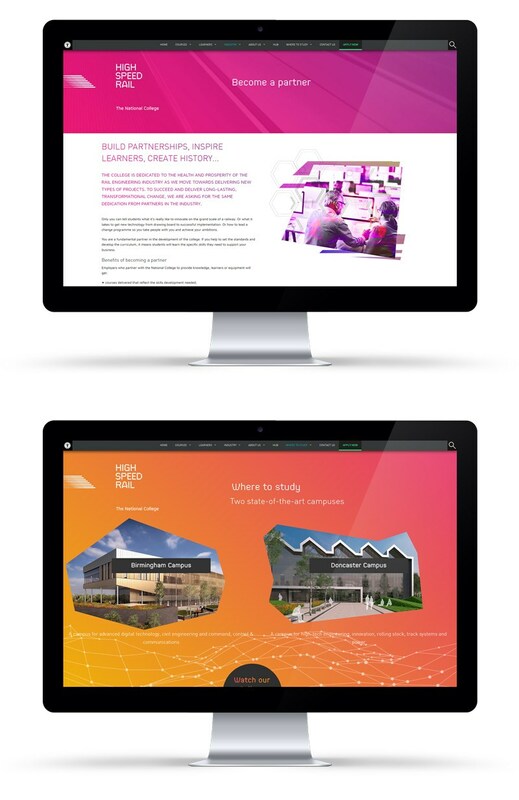 The design was key to creating impact and buzz around the college but it was also important to ensure that the functionality of the website catered to all users and information about courses was clearly displayed to facilitate optimisation and encourage applications. We worked with the client to make certain that the online application form fields were able to import directly to the college’s CRM system, that the recruitment team were able to actively post and manage online job applications allowing staff to be in place for the opening of the college and that investors can contact the college and be aware of the local and national events that the college is involved in. To cater to all disability needs and showcase the college’s commitment to inclusivity, we launched the site with accessibility so that users were able to change colours, font sizes and stop movement, with future plans to change the site to multi-lingual to cater to international audiences. The site was launched with much success and we are continuing to work with the college to ensure the site evolves in keeping with the needs of the college and maximise how users interact with the site.